Never will there be a way (here) to memorialize all the men and women who died in sacrifice of this great nation but, there are some who are easily over looked and forgotten. Simply put here are a few of those many who sacrificed their lives for this great nation and not all of them wore uniforms and in some cases died alone working and gathering the intelligence so that those in uniform could perform. Others..like Operation Eagle Claw one of the worst tragedies in the early history of America's Special Operations Forces became the mark of a phoenix rising from it's ashes in which those who sacrificed their lives for mission that never happened help to create to better warriors twenty years later. We oft forget that those who are in the greatest debt in this great nation is those of us who breathe free air delivered to us by the dead. 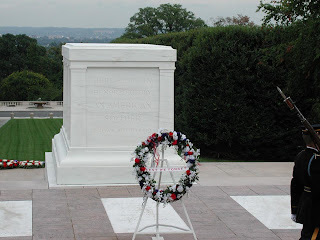 Never can we repay such sacrifice nor, valor. Major Harold L Lewis Jr.
Cpl George N. Holmes Jr. When the wonder-nine craze kicked off in the 1980s Jeff Cooper infamously nick-named the the DA/SA service pistols "crunchen-tickers" (crunching the trigger on the first shot and ticking on the remaining). While not a inaccurate statement in some respects it was never one I found to really ever matter in as much as capability or accuracy because truth is while I much prefer a 1911 over most else and am more than accurate, I shoot a good friends .40 S&W SiG P229 better than any handgun I've ever owned. The 9mm/DA/SA fade was also supposed to be someone's (hippies) idea that this was a "safer" pistol because of blah blah blah reasoning. Then came the potential holy-grail of law enforcement guns. The DAO semi-automatic. That which would surely prove to be a good cop gun and "lawyer proof". 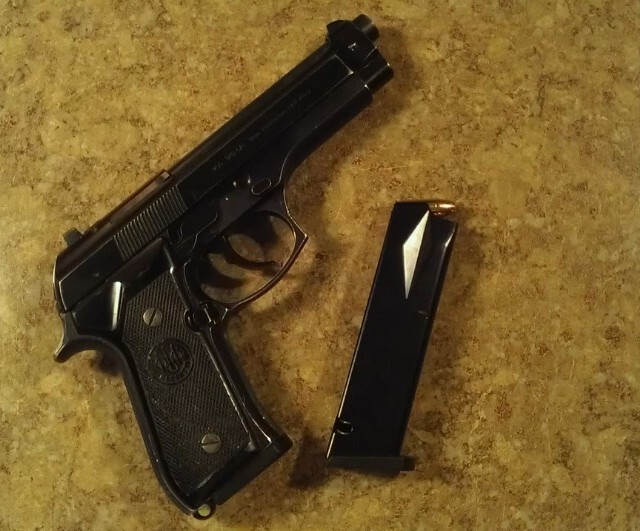 So in the 1990s the local metropolitan police force began their trek to modernization by rolling over from the traditional Smith & Wesson Model 10s & 15s in .38 Special to the Beretta 92D, lots of folks (self included) kind of pitied them. And never gave it much thought or inspection beyond that statement right there. That being said, I'm a child of the 80s and have always quietly loved the big burly Beretta 92 and vowed at some point to acquire one. My first Beretta was a Bobcat 21A in .22 LR which last I saw of it was in Central America (something about my paperwork not being valid blah blah blah), the second was a Beretta 85 in .380 with a gorgeous blued finish that I purchased for $379 to help meet the criteria of foreign carry permit allowance in places like India. Despite its sharp edges I loved that pistol...until three things happened. The Ruger LCP, Barack Obama, and a Glock 19. When Ruger's re-envisioning of someone else's work (actually that's pretty much all of Ruger come to think of it) spurred new interest in the .380, ammo that was always the last to sell suddenly became the first gone. Then Barack got elected and all the ammo was gone. For a good solid year it was a running joke to ask any retailer if they had any .380 ammo. One night at a buddies house I was looking at his Glock 19 (that he stole from someone for just under $300). I made the mistake of laying it next to my Beretta and discovered they were the same size only one held more bullets and they were slightly bigger...and it wasn't the Beretta. It's now in Kentucky someplace and there is Smith & Wesson 66 with a 2 1/2 inch barrel in my waist band as I write. Then at one point last year I ran across a good deal. $250 for a Beretta 92 with night sights. The down side was it was DAO. The upside was it was a Beretta 92 for $250 with night sights. What surprised me more than the silky smooth slide was the remarkable DAO trigger pull that broke just over 8lbs. The accuracy? At fifteen and twenty-five yards I can put a magazine into an index card. Tonight it sets nestled in its place loaded with 147grn jacket hollow points......yeah yeah I know you can tell me all about the horror stories of the 147 grn bullets from the 1980s not flowering open. Look we all want expansion in our bullets but we NEED penetration...... and the gun does hold a fistful of rounds so there is plenty to share should some B-i-Q want to stick around for the ventilating. The truth is the main reason I liked it...and still do is it makes a great house gun for my less-than-gun-savvy Wife. Good sight radius, mild recoil, no safety to turn on or off, consistent trigger pull and it works every time. Is it my choice for working on the street? And guess what. I have no guilt nor reservation about that. At various times the house gun has been a six shot .38 special with pencil barrel or a .357 magnum. Both perfectly suited for the task, no question and, they are more gun than someone who has no gun but to be frank I wanted something that held more bullets while being just as easy to operate. Because there is a real simple truth in our house. We've both sent people to jail, both been stalked, and have people who would be just as happy with us dead. So we have concerns about our personal welfare....... just like everyone else. And like everyone else there is not an unlimited budget. There was a time when a revolver was cheaper than the self-loading pistol across the board and if someone was looking to buy their first gun the dictum was almost universal. "Go buy a good double action revolver" .Ten and fifteen years ago as cops transferred to the semi-auto pistol, .38 "cop guns" flooded the gun shops. Seeing a used Smith and Wesson for $179 in my area was not uncommon and when I bought mine I paid a hundred more and knew it was a bargain. Then came the next phase. LEOs began to shift down in capacity and up in caliber to the the .40 and .45s. Here in the future the bargain in LEO trade-ins is the 9mm pistol from a variety of manufacturers from Beretta and their 92 series, first and second generation Glock 17s and 19s and practically any all metal Smith & Wesson pistol. One friend of mine called me a couple years back and said a Sheriff Deputy he knew was selling his duty pistol and he and his wife were considering buying it since they didn't have a handgun. "It's a Smith 5-9-0-6 in 9mm with three magazines and a holster." when I asked how much he said "$275.00". Across the board 9mm ammo is currently cheaper than practically any other handgun ammunition and there is literally a buyers market for very good trade in guns to match. Maybe you look at the big Beretta 92D, the errant Smith 459 or the older SiG P226 that fails to live up to your expectation from lack-of-light-rail and think "that's far too big to carry or I would rather have a [enter $750+ name and price tag here]. We've all got our favorites for one personal reason or another but,our less than favorites especially at bargain prices can and have served perfectly well.